When you live in a double-storey home, or are adding an extra level onto you existing property, you're going to need a staircase. In my case the staircase was built using concrete slabs or lintels. 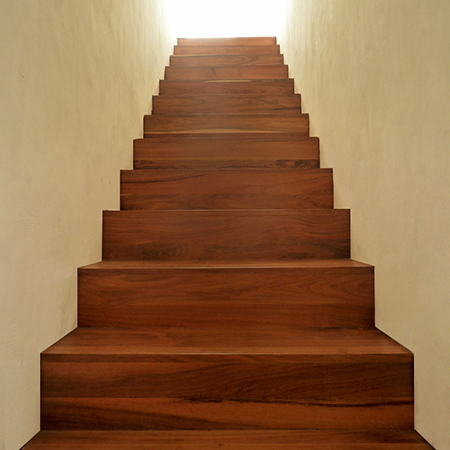 I would have loved a wooden staircase, but these can work out pricey, but I came across this idea for cladding a concrete or steel staircase that would cut down the cost dramatically. Carpet and tile have always been the traditional way to finish off a staircase, but today you have far more choices, and using wood planks, engineered wood or wood laminate allows you to be more creative. Because wood expands and contracts, a waterproof membrane was fitted over the concrete. A small rebate was cut into the wall and this will finally be covered with a skirting. 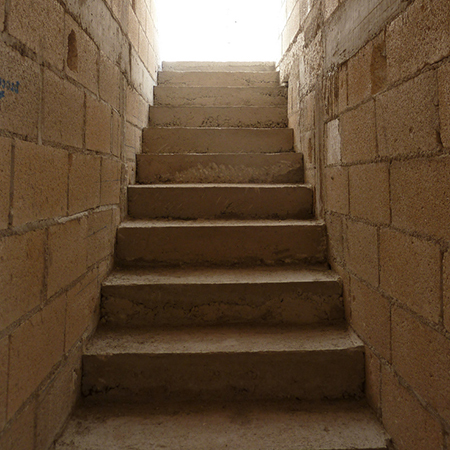 Each stair was fitted one step at a time, working from the bottom to the top, with each step nailed to the preceding step. 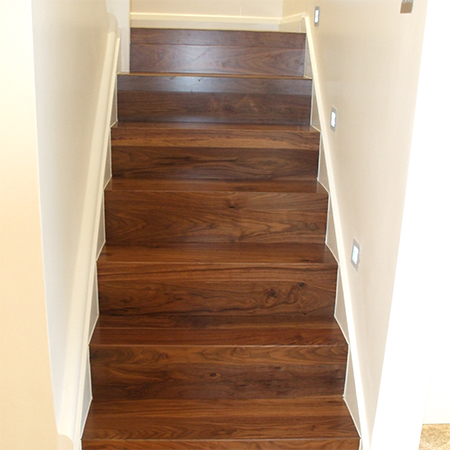 If you need to keep to a limited budget, you can quite easily use laminated flooring or engineered wood flooring to clad a concrete staircase. 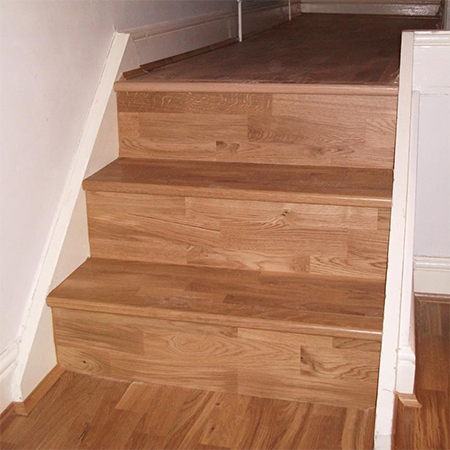 Above is an example where laminate flooring is used to clad a concrete staircase. 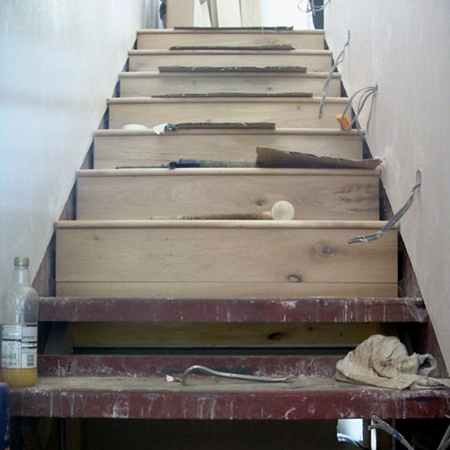 The floor planks have been used for the staircase tread and riser along with bull nose stair nosing to finish off. 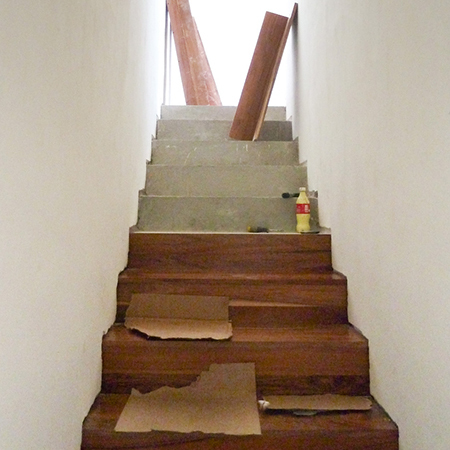 There's no reason why you can't lay laminate wood flooring on a staircase. 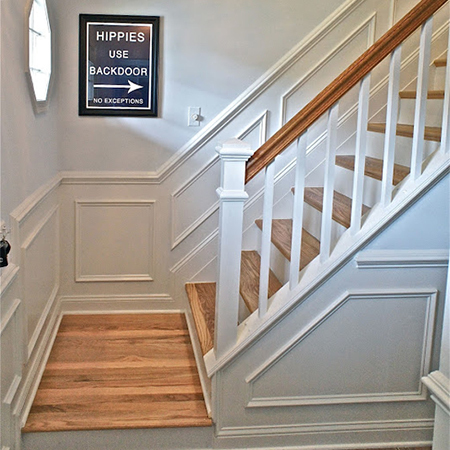 A modern approach to cladding a staircase is to leave off the stair nosing for a square look, rather than a more traditional approach that has a bull nose at the end of each stair. You can clad a steel staircase in much the same was as a concrete staircase. 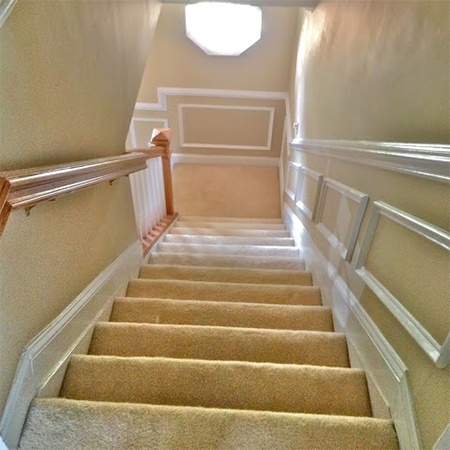 As long as allowance is made at the sides for natural contraction and expansion, you can install and inexpensive staircase and clad this with beautiful hardwoods at the fraction of the cost of a complete wood staircase. 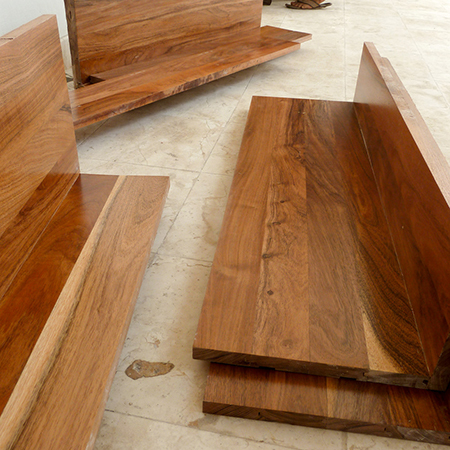 Michelle and Jason at ocean front shack ripped out an old, smelly carpet and added new wood risers and treads. 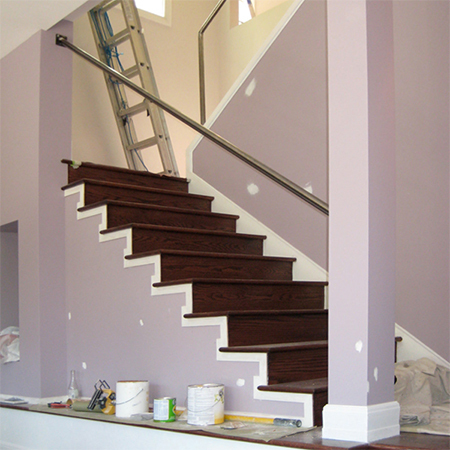 The risers were painted white to match the surrounding balustrade.